Intellectual property (IP) rights and innovation are inextricably intertwined. It’s not surprising, then, that in the spirit of innovation, some IP owners have taken proactive steps to advance and defend their own property rights. They understand that reliance on current or future government action is no panacea. In separate developments this past week, some of the world’s most successful copyright holders adopted a creative approach to bolster those rights, while leaders of three different patent “self-help” entities explained their unique strategies at a Washington Legal Foundation (WLF) briefing. Copyrights and WhereToWatch. Pirated online file peddlers and their apologists routinely argue that they are meeting consumers’ unfulfilled demand for affordable access to digital music, movies, and TV shows. As we noted in a WLF Legal Pulse post last month, however, “Huge music libraries can be accessed for free or low cost at outlets such as Spotify, Pandora, Amazon Music, and iTunes. Online options for TV and movie content continue to multiply. 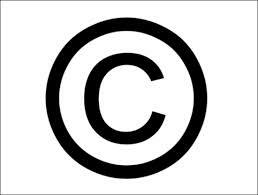 Copyright-infringing consumers can no longer claim that they seek pirated content because it isn’t digitally available for a reasonable price.” A September 23, 2014 report by KPMG provides empirical supports that argument. It found, for instance, that 96% of the top 20 movies for the years 2000 to 2010 were available through legal online distributors. Also, 96% of television’s top 100 shows in 2012 were available. Six major movie and entertainment studios fortified this point, while also easing consumers’ access to legitimate broadcast and film content, with their launch of the online search engine, WhereToWatch.com. The site taps into more than 100 online services that offer video content and provides other tools such as in-theater movie listings and online release alerts. It also offers links to other entertainment content search engines, as well as direct links to TV and movie sites that stream content. WhereToWatch cannot deter those who seek out pirated content simply because they want to avoid payment. But it is one more tool that can help consumers respect copyrights and provide creators with the return on their investment that such rights facilitate. Toward Patent Non-Aggression. The 21st century has featured astonishing advances in computer-related technology. Rapid technological evolution has empowered us to perform tasks on a 5-inch, 4-ounce mobile smartphone that could previously only be done on a desk-bound machine. Patent protection has played such a critical role in this evolution that patents not only protect product designs, but they have become products in and of themselves. At the same time that professional patent assertion increased as a threat to operating companies, collaborative self-help organizations began to emerge that offered market-based deterrents to abusive litigation and privateering. On November 10, 2014, WLF hosted an online briefing that spotlighted three distinct entities that embrace private ordering approaches, Toward Patent Non-Aggression: Market-Based Approaches to Deterring Legal Risks and Neutralizing Litigation. The video recording of that program can be accessed here. The PowerPoint slides the speakers utilized are here. The oldest and largest of the three entities, represented at the program by CEO Keith Bergelt, is the Open Invention Network (OIN). OIN describes itself as a “defensive patent pool and community of patent non-aggression which enables freedom of action in Linux.” The second entity, Unified Patent, Inc., which began its activities in 2012, was represented by CEO Kevin Jakel. Unified Patents helps its members mitigate litigation risk through NPE demand letter monitoring, patent claims analysis, and the filing of patent validity challenges at the U.S. Patent and Trademark Office. The newest patent self-help group, License on Transfer Network (LOT Network), deters litigation and patent privateering by requiring its members to license patents to fellow members before selling them to another company or entity. LOT Network Director Tim Kowalski spoke on the group’s behalf at WLF’s event. Help Yourself. By applauding these self-help devices, we don’t mean to imply that government doesn’t or shouldn’t have a role in IP protection. Congress could, for instance, legislate new rules to govern patent litigation that would deter frivolous lawsuits and allow judges to punish those who game the legal system. Federal law enforcement can and should pursue actions against those who violate copyright and patent laws. Agencies such as the Federal Trade Commission can perform investigations and facilitate information sharing. U.S. trade officials can and must advance American companies’ IP rights in nations such as China, where sales of pirated movies and software crowd out the legitimate products they copy. But just as entertainment creators and technology inventors don’t have the state to thank for their successes, the enterprises that monetize their achievements can’t rely on government alone to protect their interests. Better private protection of IP rights allows enterprises to develop new products and improve on current ones. Simply put, self-help devices enable more innovations, which benefits companies and consumers alike.